Many heat sources are available through a variety of outlets. We are yet to find the perfect heat source that will work under all conditions. One must be cautious with overhead heating options so that they are not knocked over causing burns, injuries or fires. Also, hedgehogs can over-heat a small aquarium that is not well ventilated. 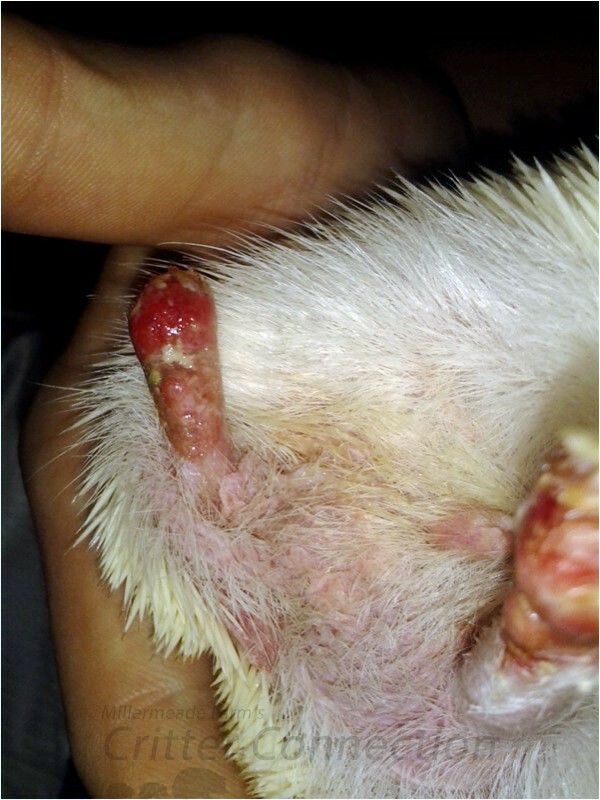 Hedgehogs can get burnt both internally and externally by not being able to move away from the constant heat sources such as heating rocks and heating pads. The SWEETER HEATER has no hot spots, it develops a uniform heat pattern, it uses less power to operate, it is unbreakable, it is sealed so it can be washed, and it has a three-year warranty. The SWEETER HEATER is a safe, non-breakable, energy efficient, long lasting (three year warranty) and reliable specific area heater. The SWEETER HEATER has been tested and proven by our customers since 1995. Veterinarians, aviaries, dog breeders, kennel owners and herpetologists have proven that the Sweeter Heater is an ideal answer to problems created by other infrared heaters used for pets and animals. Infrared light bulbs are unreliable from a breakage standpoint, have a hot spot that will burn pets and animals, and are a fire hazard. The SWEETER HEATER pet heater is designed to be suspended approximately 12 to 20 inches above the area to be heated. The side mount models can be flush mounted to a wall or the ceiling of a cage or pet house. They will maintain a constant self-regulated temperature. The surface temperatures on the Sweeter Heater will not exceed 185 degrees so they do not create a fire hazard when properly installed. This heater is designed to heat what is directly under the unit or very near the side-mounted heater so for optimal heat purchase the largest unit that will fit your cage. Thank you Laura Dowdey Unger for this suggestion. Some people are able to use small, ceramic space heaters or enclosed oil filled heaters. Remember to use safety precautions recommended by the manufacturer. Ceramic heaters themselves don’t get hot and aren’t very expensive to run. Many heaters do cycle on and off, so it is important to monitor the highs and lows during its cycle. You may have a problem keeping a large area at a warm enough temperature so portable units are may not be suitable for larger areas. Remember, gas, oil, kerosene or other fossil fuel burning space heaters are not only dangerous fire hazards but the fumes can be very detrimental to your hedgie as well. 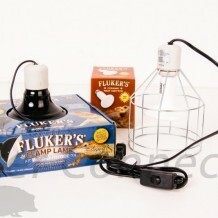 Many of the small, 4”x 5” three watts, under tank heaters designed for reptile use will also work well for hedgehogs. You must read the instructions to make sure the stick on the mat doesn’t get too hot. Some heat mats can get too hot and melt the plastic in some cages. Most under tank heaters must be applied directly to the cage so that air doesn’t flow between the cage and the heating element. There must be adequate ventilation under the cage to prevent the pad from overheating. The heat mats work well for a warm sleeping area but not to heat an entire play area. We found that Zoo Med’s Hermit Crab heater creates a nice warm spot in one small section of the cage. It is enough to create a nice place to sleep but it will probably not be sufficient for temperatures lower than 72°F. Some breeders have recommended T-Rex Cobra mats but we have not tried them at this time. These 12” plastic disks are designed for use as puppy warmers and are found with dog and puppy supplies at some larger pet stores. The warmers are about an inch and a half thick and about the size of a medium-sized Frisbee. They are made from a hard plastic (usually bright pink in color) and must be wrapped either in a towel or placed in a cover designed specifically for them. These warmers are supposed to stay warm for 12 hours and at a constant temperature. Some hedgehog owners use them, like them, and recommend them. We have tested them, and ours didn’t quite work so well for general warming. They do well for short-term heat such as traveling, but not for every day cage use. We have had customers report back similar findings, and that the temperature isn’t as constant as the manufacturer’s claim. We suggest a red bulb so the hedgehog’s natural light cycle is not disturbed with continuous white light. However, some hedgehogs have been reported to be sensitive to the red light. These are not the safest options for plastic containers or aquariums. A low watt bulb and close monitoring may work, but other options would be better. If using a “heat” bulb or heat emitter, you must only use a ceramic light socket; they are designed to withstand the high temperatures from a heat bulb. These can be purchased along with your heat bulbs. Please refer to our Heat Emitter Article for more information. Do NOT use a black light, as long-term exposure is harmful and can be deadly. Do NOT use a white light, as it will disturb the hedgehog’s regular day and night cycle. Most breeders and veterinarians do NOT recommend sources of heat where the animal has direct, or very close contact with the heat source. Heat rocks are ceramic rocks that get hot and are traditionally used for reptiles. Most heat rocks and heating pads can get very hot and are not easily regulated. The animal doesn’t realize that it is too hot or it is unable to move from the heat. Many of these burns are not visible from the outside, but internal damage will be obvious a couple of days later. The burns on this hedgehog’s feet are from a heating pad that malfunctioned. The Heat Wave Rock is a new heating rock on the market. The manufacturer claims that this heat rock is safer than other brands.